While supplies last, 3Gstore is offering the popular Jetpack MiFi 4620L for just $29.99! These refurbished hotspots are in like new condition and are perfect for customers wanting to sign up for Verizon's month-to-month service (simply call Verizon after receiving the modem to set up service and receive a SIM card) or existing Verizon customers who want to swap to a more current device or need to replace a lost/broken device. 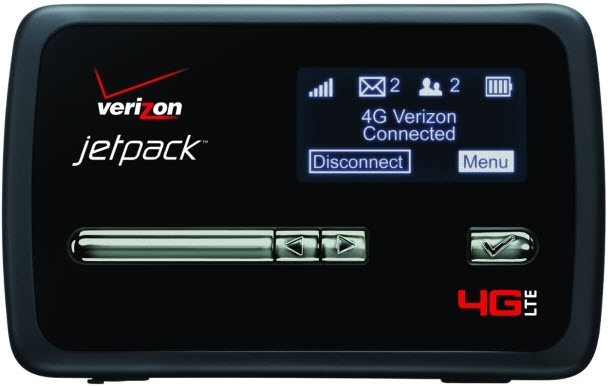 The MiFi 4620L hotspot allows for up to 10 wireless devices to connect simultaneously and is backwards compatible to 3G in the event the device is outside the coverage area. The service supports 802.11 b, g and n and is also VPN compatible, and the hotspot has an antenna port for an external antenna (sold separately).